A man who maintained that he was the designated driver for his friend ended up arrested on a charge of driving under the influence in St. Lucie County. According to the St. Lucie County Sheriff’s Office, the arrested man was clocked by a deputy sheriff driving a pickup truck a 75 miles-per-hour in a 50 miles-per-hour zone. This occurred on the North Kings Highway on a Friday night. The deputy contended that he smelled alcohol coming from the cab of the pickup when he pulled the vehicle over for speeding. When pulled over by the sheriff’s deputy, the driver announced that he was returning from a bar, after being a designated driver for others. The driver is a 48-year old man who lived in the area. The deputy further noted that the driver has the smell of alcohol on his breath. In addition, the deputy reported that the driver appeared have glassy and watery eyes. The sheriff’s deputy, following normal procedure, asked the driver to submit to field sobriety testing. The driver refused. At that juncture, the man was arrested by the law enforcement officer. The driver was charged with DUI and speeding. No disposition of the case has occurred. Further proceedings have been scheduled in St. Lucie County. There is no information as to whether the driver has previous charges for driving under the influence, or whether this is his first case. In the state of Florida, being convicted of a DUI can have serious consequences. The penalties imposed upon a DUI conviction can include probation, jail time, suspension of a driver’s license, community service, and other sanctions. Retaining a skilled, experienced DUI lawyer is the best course to take to best protect your legal rights an interests. The Law Office of Jeffrey H. Garland, P.A will do everything possible to mount a comprehensive defense in a driving under the influence case. A Fort Pierce DUI defense lawyer from the firm will conduct an independent investigation, if necessary, to ensure that no stone is left unturned in your case. 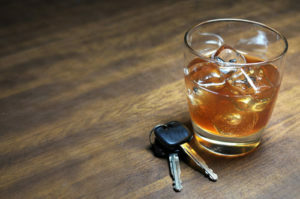 If you, or someone you know, faces DUI charges, contact The Law Office of Jeffrey H. Garland, P.A. at 772-489-2200. The legal team at the firm will schedule an initial consultation to discuss the case. There is not a charge for an initial consultation with an experienced DUI lawyer.